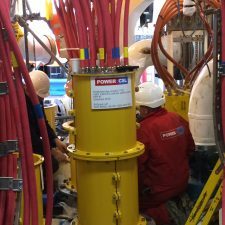 Design, supply and installation of I-tube mounted transition joints, topside jumper cables, and electrical terminations for a North Sea FPSO project. 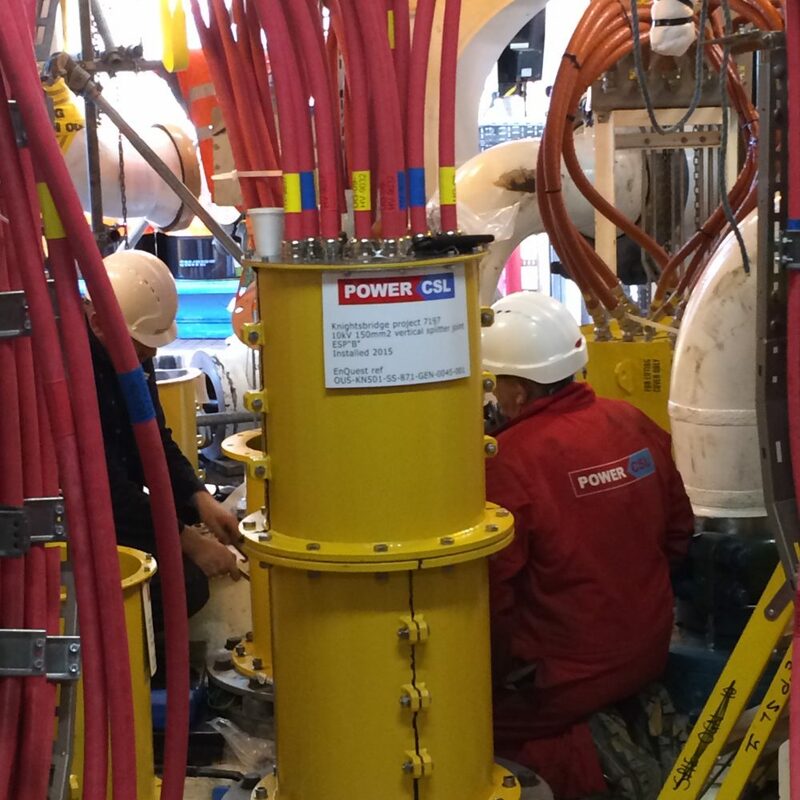 A major UK oil operator required purpose designed transition joints to connect 3 subsea umbilicals, each containing 15 MV power cores to an FPSO electrical system. 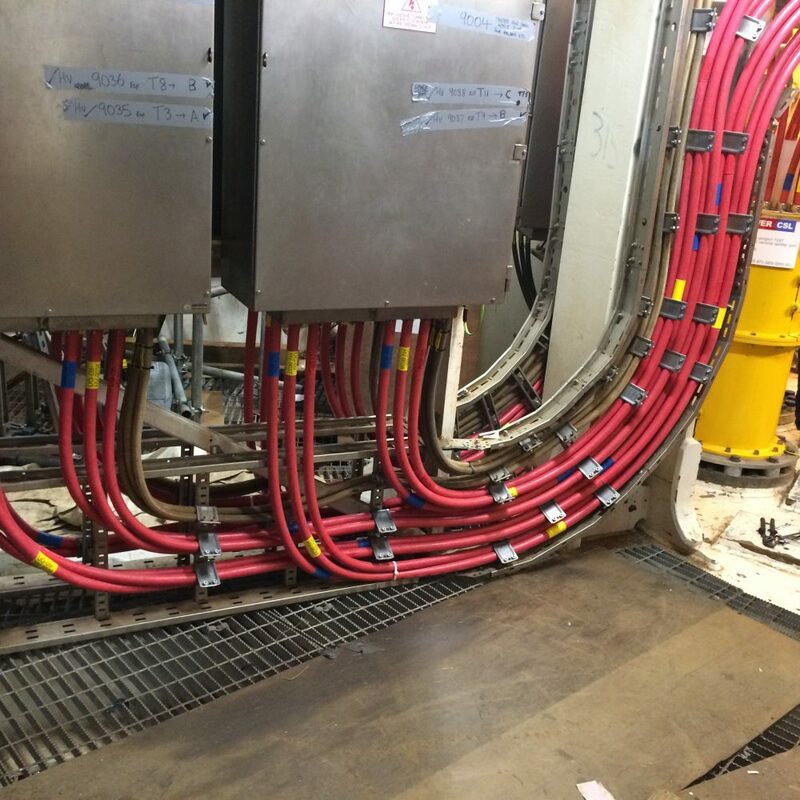 The joints needed to be mounted on I-tube hang-offs located in the FPSO Zone 1 rated FPSO manifold deck. 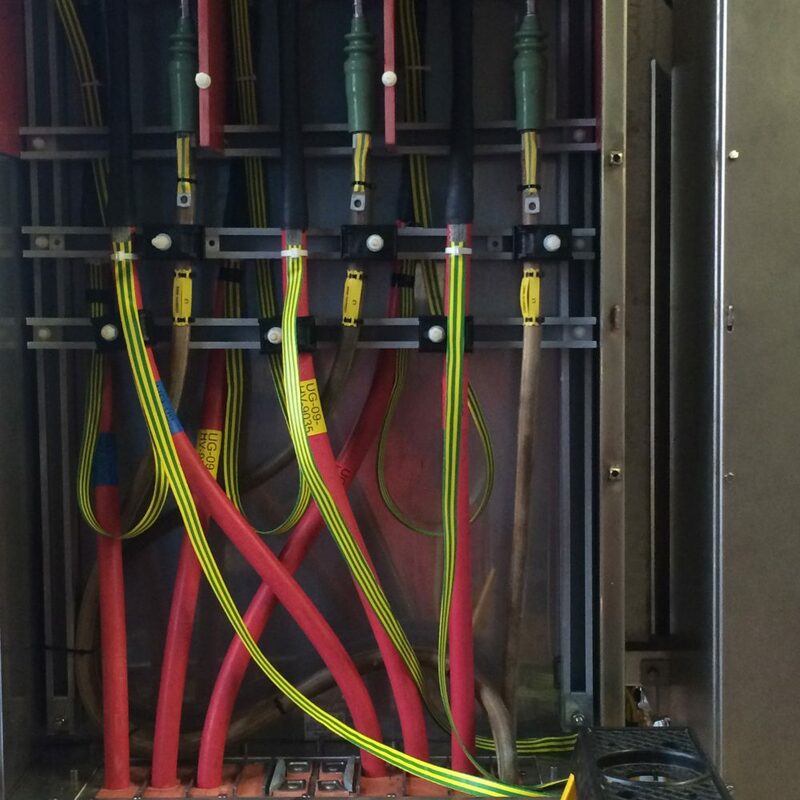 Flexible MV jumper cables and terminations were required to run from the transition joint to a number of HV junction boxes. The area where the joints was to be installed was highly space constrained in terms of available area and headroom. 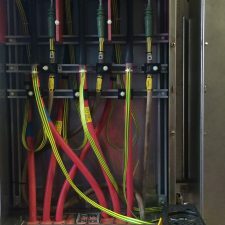 Detailed design study including mechanical interface with I-tube, thermal FEA of the transition joint, verification of Zone 1 performance, MV jumper cable connections and termination design. 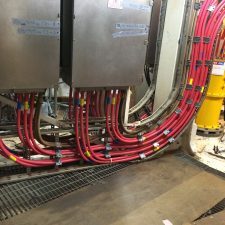 Throughout this phase close liaison was required between PCSL, umbilical manufacturer, FPSO EPC, and the end Client project engineering functions. Mock-up of manifold deck at PCSL workshop and timed trial assembly of transition joint in order to explore methods of minimising offshore installation time.